Ever since I was little, I’ve watched my mother “clean the meat” before she cooked it. Whether it would be beef, chicken, turkey, pork, or lamb, she would “clean” it. I soon came to realize that my whole family did the same thing; my grandmothers, aunts, uncles, basically anyone I knew that was Haitian cleaned their meats and poultry before cooking it. It was one of those things I never really questioned. I just assumed it was part of life and that “cleaning” meat was the norm. Don’t worry, “cleaning” meat doesn’t mean scrubbing soap and water thoroughly on your pot roast. With that being said, I had to make sure I washed my meat too. It was my first time trying to make spaghetti sauce with ground beef. 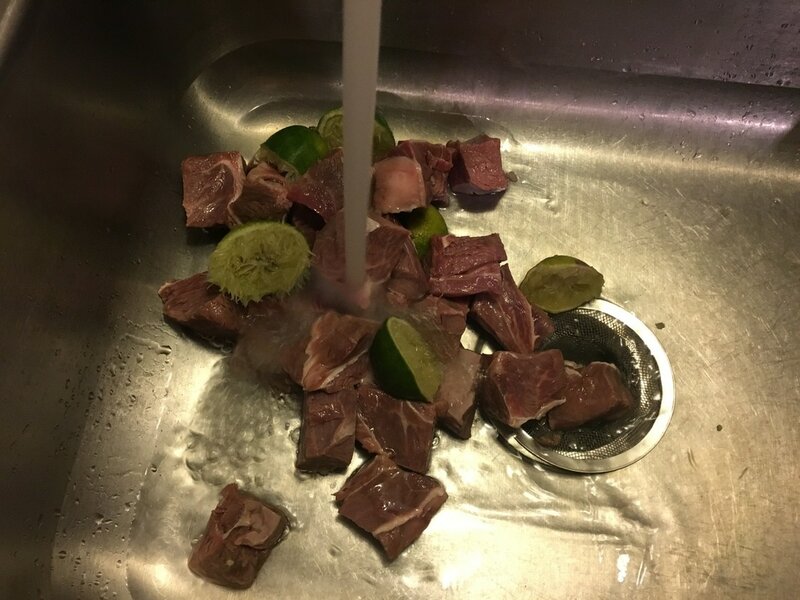 I put the ground beef in a bowl, squeezed a couple of limes onto it, and placed the bowl under the faucet and proceeded to fill it up with water… That day, I learned the hard way that not all meat is supposed to be cleaned. I watched my ground beef turn into a watery mush and when I tried to strain it, I pretty much lost the majority of it down the drain. ​Anyway, what’s the purpose behind it then? In Haiti, the food standards are not the same as it is in the United States. You're never really sure how fresh the meat is. So it is imperative that the meat be cleaned in order to get rid of any harmful bacteria. In general, it’s a way of removing any impurities like germs, blood, slime, and excess fat before cooking it. My mother states that this process also gets rid of strong odors that may be present on the meat. ​This post will focus on cleaning any type of red meat. Cleaning chicken is pretty much similar but with a few differences. When the post for cleaning chicken becomes available, you can find it by clicking here. 1. You always want to start off by removing any excess fat from whatever cut of meat you have as well as any gunky like material that doesn't look like muscle. Certain types of meat have more fat and unwanted parts than others. 2. 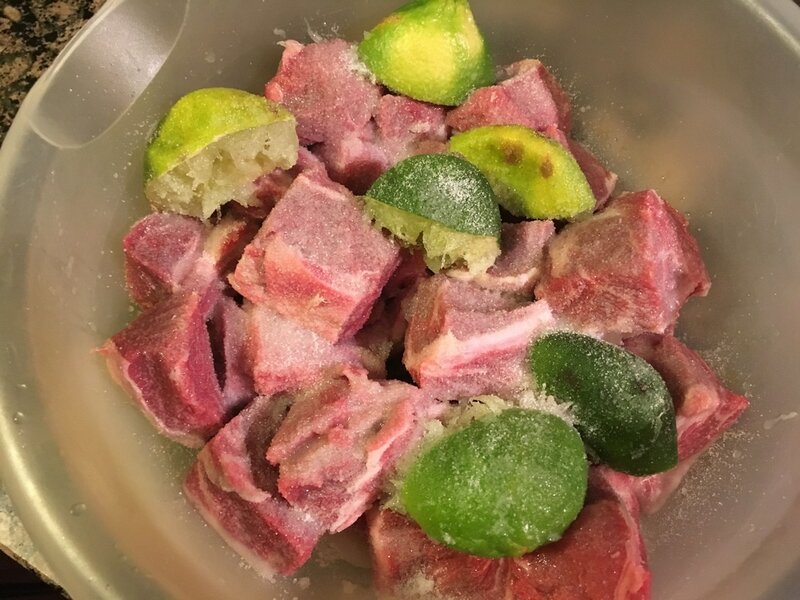 As a rule of thumb, for every pound of meat, consider using 1 lime, lemon, or sour orange. As a substitute, you can also use the concentrated bottled version. They come in all 3 varieties. If using the bottled juice, anywhere from 2 – 4 tablespoons per pound of meat would suffice. The same amount would apply if using vinegar. Rub the juices all over the meat. If using fresh limes, lemons, or sour oranges, after squeezing the juices, you can throw in the peels into the bowl as well. ​3. Next, pour in a very generous amount of salt onto the meat then pour just enough water to cover all the pieces. Let the salt and citric acid do it's work for about 30 minutes, no longer than an hour at room temperature. Sometimes, 10 minutes works just as well, especially if you’re in a rush. You will notice that after some time, the water becomes very cloudy as it removes all the impurities from the meat. 4. After the soaking process, dump the contents into a clean sink and briefly rinse out the bowl. 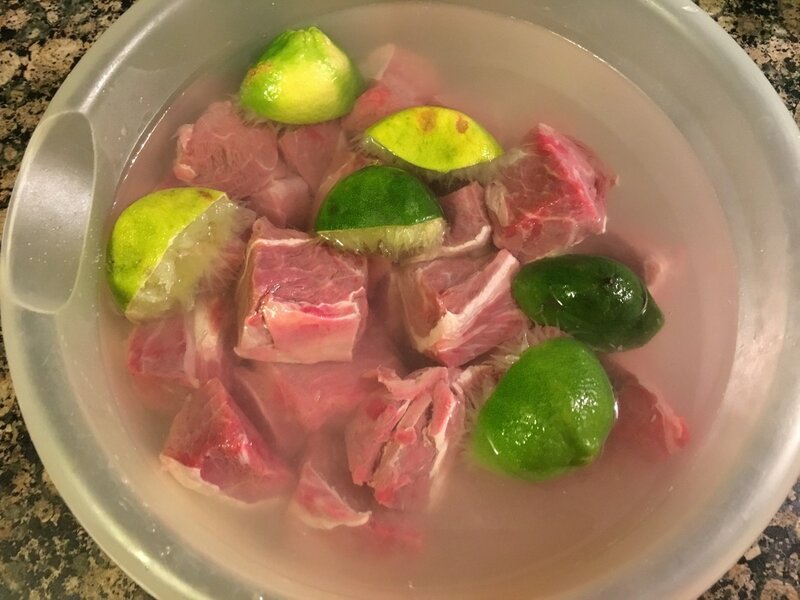 Rinse off each piece of meat under cool running water to thoroughly rinse off the citric salt water solution. Squeeze as much liquid out of each piece of meat before returning it to the bowl. Once complete, your meat is ready to be marinated or prepared according to your desired recipe. Notice the before and after pictures below. Before the meat is cleaned, it has it's fresh, deep red color. After cleaning, it isn't as red anymore. 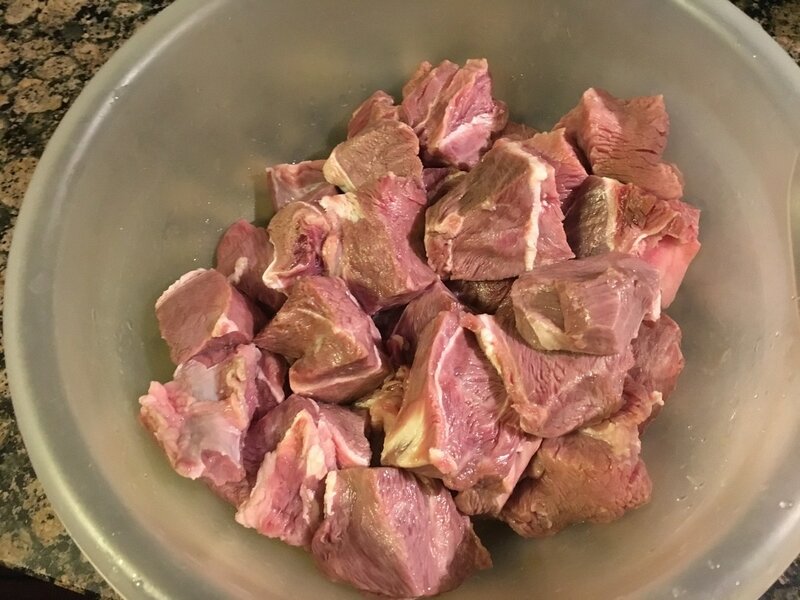 The juices contained in the meat have been stripped out and I believe it helps the spices and marinade that will be added later to be more readily absorbed. To take it a step further, some Haitians also like to “shodé” their meat as well. This is basically a process of pouring hot boiling water over raw meat then draining it immediately. I don't really do this step unless it's goat meat. 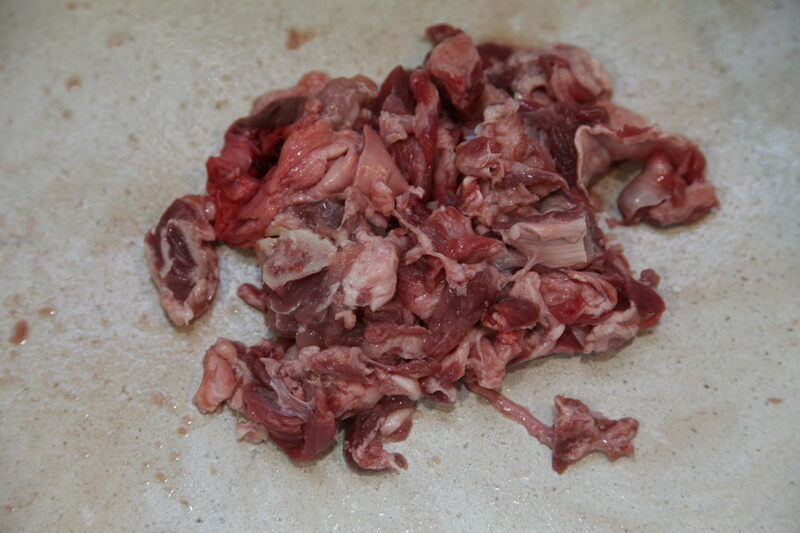 Goat meat tends to have a very strong, distinctive scent and this extra step helps to get rid of that scent. The overall process of cleaning meat works well with generally all types. You want to avoid this with any kind of ground meats of course. Also, it's not really necessary to do this with things like steak. Avoid using vinegar on stew beef as I was told that it toughens the meat. Did you find this post helpful? Are there any other steps you use to clean your meats?